Hopefully this will be a funny (or cute or silly) project that will highlight some other writers and such. My first piece of art is from Lunaairis over at the Mythic Scribes forum. 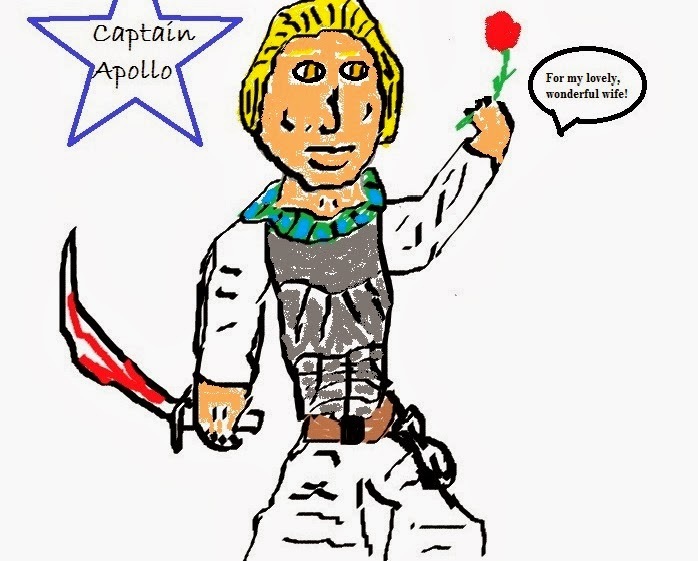 This is Captain Apollo! And Lunaairis reciprocated my horrible art with this freaking awesome one for a character I hope to use for some of my future fiction as I had fun writing him a short story earlier this week. 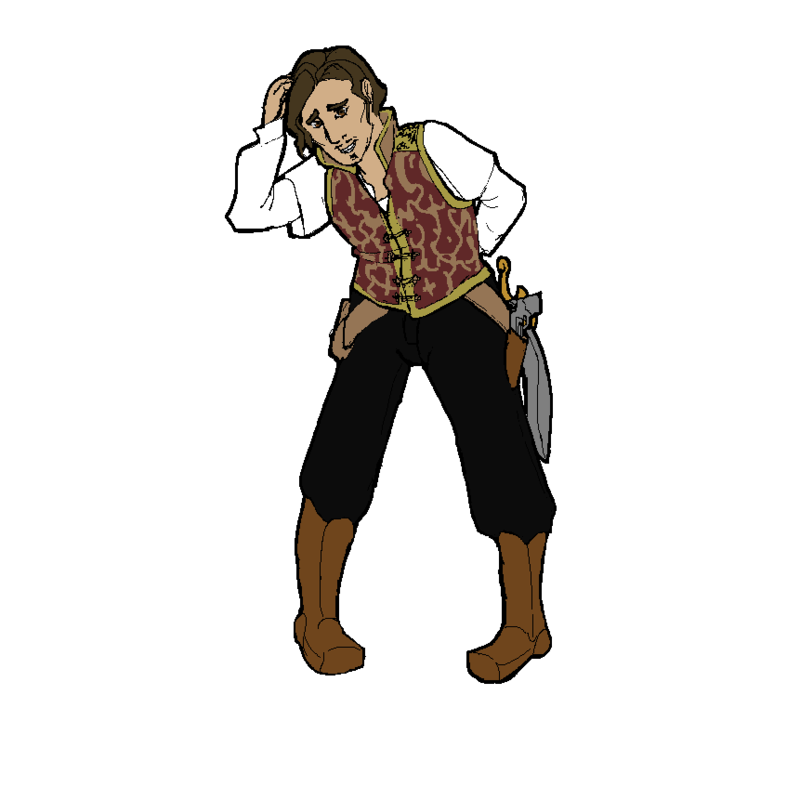 Here’s Pedro Carina, Ne’er-do-well, Sky Pirate, Human Canonball, and all around Screw-up with a capital “Screw”. I love this! Thanks again Lunaaris for doing such an awesome. job. Here is Sands of Khayra which features more of Captain Apollo’s world and more great art. If you’re interested in doing this project, please comment below. I had loads of fun doing it!